In this paper, we describe the application of a new volume graphics technique, namely constructive volume geometry, to the visualisation of cardiac anatomy and electrophysiology. 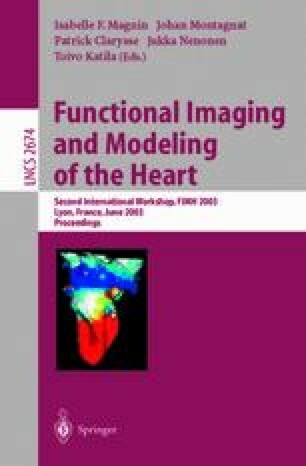 We exploit the fact that field-based data types underlie the computational process in both the virtual engineering of the heart and volume graphics. We demonstrate the capability of constructive volume geometry in generating combinational visualisations that depict meaningful information extracted from different cardiac data sets. We also show the capability of volume graphics in displaying the interiors of anatomical structures through effective use of opacity and combinational operators.